Come up in 1992 at the east side of Uruguay.Two months later,the demo "Cementery" was recorded. 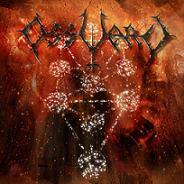 In 1993 and with new line-up OSSUARY recorded the promo track "Inquisition dreams",showing the new sound of the band to an obscure and demoniac death metal. The next step to the band was their demo ´95 "The black wind wisphers from the coast" that had an excelent promotion all over the world. This tape was inclusive edited by American line from Mexico,in a professional way.At that time there where tons of live shows, and in the tour for south America, Catapult Rec. show interest and re-edited the demo ´95(with thisedition "The black wind whispers from the coast" demo sold close to 2000 copies) with 3 bonus track under the name of "Show no thirsty/Alcoholic rites". 1997 show the biggest line-up changes in band history,Portugal(ex-Karkadam) joined the band in bass/vocals,and Cristian (ex-Fateless) in drums. 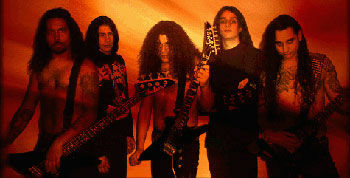 In ´98 Marcelo joined the band in guitars,with Sebb. (original member) on guitars too. 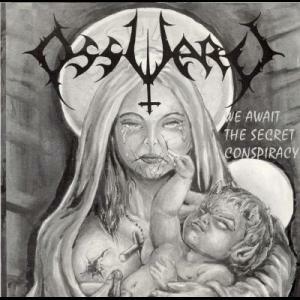 The band recent work is called "We await the secret conspiracy" was edited by BLACK HAMMER REC in MCD and TAPE format.The new sound continue in the flame of the old OSSUARY,with an hyperblasting Death Metal brutallity but at the same time,melodic,with extreme speed ,spreading a satanic and blasphemic message.